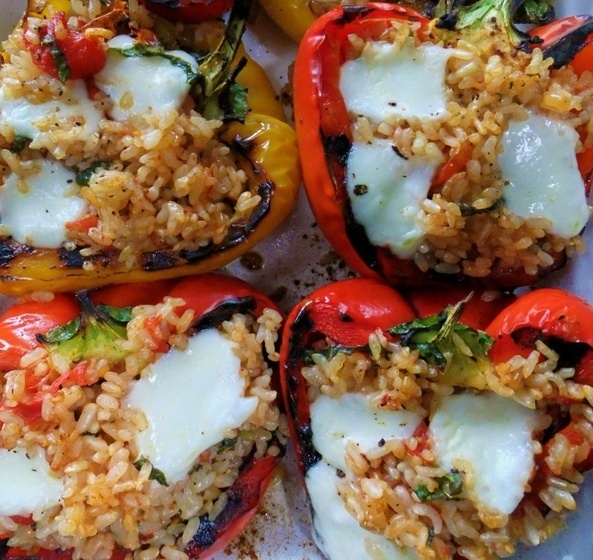 Who doesn't love stuffed peppers? They taste great, are really easy to prepare, and you can experiment with different herbs and spices to add flavor. This particular recipe makes a great side dish to any summer barbecue meal because they are slightly less filling than whole stuffed peppers and they don't contain any meat. 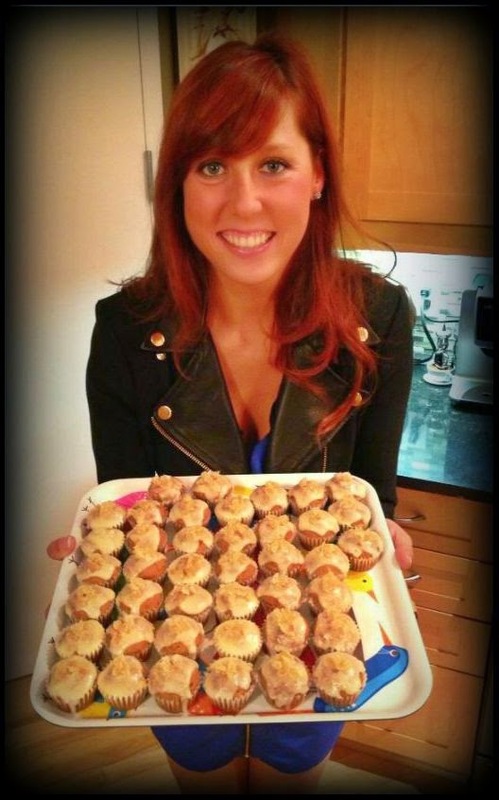 They are easy to prepare beforehand so you're not slaving away when company arrives!! Cook rice based on package instructions. Heat oil in a pan and sauté onions and garlic on medium until soft. Add in rice (serving size depends on amount of peppers you are preparing). Add in can of tomatoes, dried and chopped fresh basil, and Romano cheese. Cook for a couple of minutes. Add salt and pepper and red pepper flakes. Grill halved peppers on the barbecue or in the over for about 10 minutes, until they are soft. 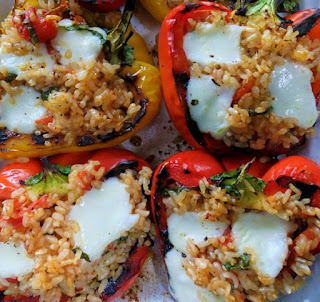 Fill the peppers with the rice mixture, top with Mozzarella cheese and some additional fresh basil and broil in the oven for a couple of minutes until the cheese starts to melt. Serve on the side with desired meat and a fresh salad and you have a great summer barbecue meal.